Why is it always the case that when you get stuck into a job, the mobile goes and somebody wants you, again. When I’ve been up a ladder painting a ceiling or cutting logs with the chainsaw, these calls keep coming. I know that’s often the norm these days but this week has just been a nightmare with unsolicited calls. I’ve had several PPI calls, a funeral plan call, a recent accident that never happened call, a microsoft computer problem call and yet another random market research call, which would apparently only take 2 minutes of my time. When we are so busy with everything, I just don’t have time to be taking unnecessary phone calls. It would be easy to ignore numbers I don’t recognise, but I often get business enquiries and so therefore need to take these calls as they come in. I will have to do something about blocking unwanted calls, one of these days. So, this time last year we bought and planted a chestnut and a lime tree in each of the two cattle fields. These were primarily to offer some shade for the cows on those rarely seen sunny days. Unfortunately, in one of the fields, the two trees died and so this week I’ve had to get the dead wood out in preparation for the new ones arriving. Easy, you might think, but these were trees between 15 and twenty feet tall and so I expected a rough ride shifting them both. After cutting the trees down to a manageable size, I dug out what soil I could, to free the roots, then I attempted to pull the stump and root ball out with the quad. It didn’t come close to shifting it and once again I had to resort to calling in the reinforcements, in the shape of my Landrover, needless to say we were all done and dusted in minutes. This week Wendy and I are all excited for the weekend to arrive.You see, we are taking our 7 grandchildren on the Santa Express steam train from Pickering and we can’t wait. We have spoken about it so many times but never got around to sorting it and now that we have 7 grandchildren, we’ve got it organised. The funny thing is, if Christmas had been a few months further away, we would be taking 8 grandchildren with us, as we have another on the way. Thinking about the weekend trip and Christmas fast approaching has got me thinking about how Christmas has changed for us over the years and particularly since leaving our old business and moving out to the country. In short, it has become far more simple and the cost of Christmas has reduced drastically. In fact Wendy’s favourite present I bought her last year, cost only a few pounds. “What was it”? I hear you cry. It was a hand whisk, for all the baking she does. The funny thing is that she’s never used it for baking, let me explain. One evening, there I was minding my own business when I heard a strange gurgling sound coming from upstairs. 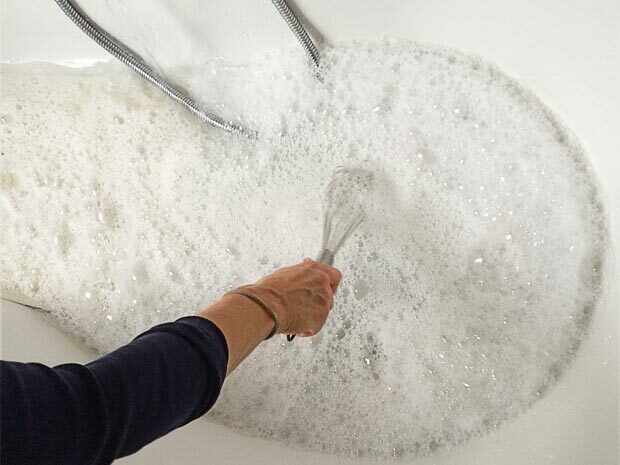 As the water pressure in our clapped out bathroom is so poor, Wendy was leaning over the bath and was using the whisk like a mad woman to agitate the bathwater and bubble bath to create sufficient foam for her to have a nice bath. Whoever would have thought that you could have so much fun with a whisk. So, as Christmas approaches, remember, it’s not the cost of a gift that counts but the usefulness!